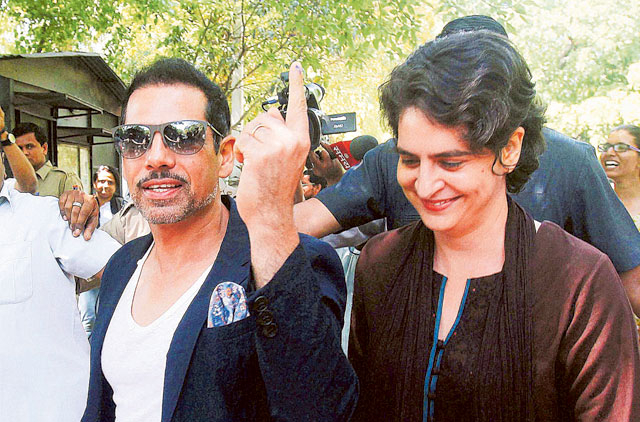 New Delhi: Robert Vadra, the brother-in-law of Congress President Rahul Gandhi, was on Saturday questioned for more than eight hours by the Enforcement Directorate (ED) in connection with a money laundering case. He has been asked to join the investigation again on Monday at 11am. Vadra had arrived at the ED's Jamnagar House office around 10.45am. He stepped out for lunch around 1.50pm and returned to join the probe at 2.50pm. The questioning went on till 8.30pm. The case relates to the ownership of 1.9 million pounds (Dh9 million) of undisclosed assets abroad, allegedly belonging to Vadra.